The time is nearly upon us. The media has been whipping up a storm in the last couple of weeks, following every single aspect Prince Harry and his beloved Meghan Markle’s movements across the globe as they prepare for their impending nuptials on Saturday. The couple are currently splayed across the homepage of virtually every newspaper and digital publication in the galaxy, and the bookies have not been afraid to jump on the royal wedding bandwagon too. Here are the 12 most interesting, hilarious and downright bonkers royal wedding betting options for punters to avail of. Harry and Meghan haven’t even made it down the aisle yet and already the bookies are speculating as to when the couple will have their first child. This market is broken down by year. Paddy Power currently have 2018 at 66/1 which makes sense considering that Markle would already have to be pregnant. 2019 is currently a 1/3 shot and the favorite while 2020 or later is listed at odds of 2/1. Which Singer Will Play the First Song at the Wedding? Ed Sheeran, Adele and Elton John are top of the bookmakers’ lists for this one. Sheeran has been atop the bookies favourites for months now and is currently listed by Karamba at 20/41 to sing the opening number for the royal couple. Will Prince Harry Have a Beard on his Wedding Day? Some newer bookmakers have a 'No' offered at 1/2 here, as the Prince has been photographed in recent days with more than a couple of hairs adorning his chin. However, you never know what will happen when it comes to a royal wedding and this bet could certainly prove to be a close shave (ba dum tss!). Will Prince Harry Wear his Army Uniform While Getting Married? Back in 2011 Prince William wore his army uniform while getting married and so it looks likely that his younger brother will follow suit. ComeOn! Sports lists Prince Harry as a 'Yes' for this market at 2/25, while a 'No' comes in at 6/1. Will it Rain During the Wedding Procession? The forecast for Saturdays proceedings looks pretty good, so expect to see short odds in this market. Paddy Power currently have a 'No' bet offered at 1/10. Will There be More UK TV Viewers Than Prince William and Kate’s Wedding? 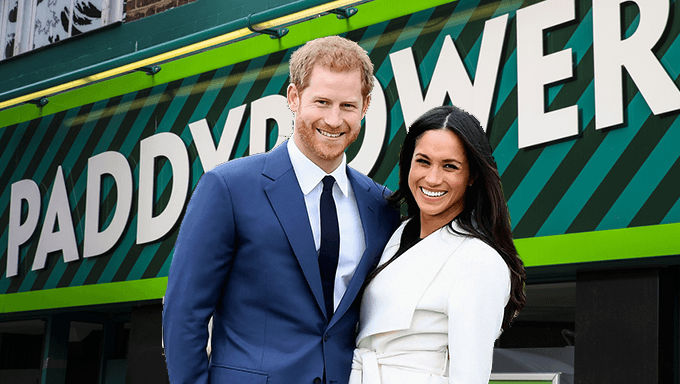 If you think Harry and Meghan will surpass the millions of UK viewers that tuned in to see William and Kate Unibet have a positive outcome for this market at 2/1. What Will Be the Couple’s First Honeymoon Destination? Another absurd bet to add to your slip! Most of us can only wish to experience some of the extravagant destinations listed by Paddy Power for this market. The world will very much be the couple’s oyster here, with Mustique listed at 5/1, Seychelles at 9/1, Canada at 12/1 and South Africa at 14/1 among many others. What Will the Prominent Colour of Meghan’s Dress be? This might sound ridiculous - but let’s look at the stats. The prominent colour of every royal wedding dress for hundreds of years has been white and if you haven’t noticed yet, the Royal Family tend to be sticklers for tradition. Think otherwise? William Hill have the dress as ‘Any Other’ colour than white priced at 9/2. What Will be Served for the Main Course at the Wedding? Paddy Power, with their never-ending abundance of insanity, are one of the only bookies offering this market. Duck is currently priced at evens, while beef is 2/1, lamb is 4/1 and fish or shellfish are 7/1. Perhaps surprising to some will be the length of chicken’s odds at 9/1 to be served. Fascinating stuff really! Will a Streaker Interrupt the Vows? This royal wedding betting market comes courtesy of our friends over at Leo Vegas. The bookmaker has ‘Yes’ priced at 51.00. This translates to an implied probability of 2% that a streaker will in-fact interrupt the vows. Those odds don’t seem too long, Leo. Got something up your sleeve? Who Will Attend the Wedding Ceremony? Harry and Meghan’s ceremony is sure to be stocked with rich and famous politicians, royalty and celebrities from across the world, but can you guess who exactly will attend? Patrick Adams, Markle’s former co star at hit US drama ‘Suits’, is 1/100 to show up over at Paddy Power. Any of the Kardashian clan to show up is at 20/1, while Vladimir Putin and Robert Mugabe sit at 500/1 each. Fancy a realistic flutter on this one? Try Barack and Michelle Obama at 6/1. What Colour Will the Queen’s Hat be? A classic! The world came to a standstill back in 2011 for this exact bet during the nuptials of William and Kate. Blue, the colour the Queen chose for the last Royal Wedding, leads the way at Ladbrokes (4/1) with green (6/1) and orange (7/1) following close behind. An interesting bet here would be black - currently an outsider at 50/1 with some of the top online bookmakers.